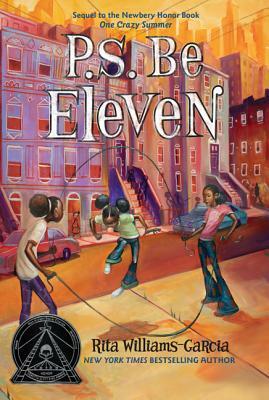 Eleven-year-old Brooklyn girl Delphine feels overwhelmed with worries and responsibilities. She's just started sixth grade and is self-conscious about being the tallest girl in the class, and nervous about her first school dance. She's supposed to be watching her sisters, but Fern and Vonetta are hard to control. Her uncle Darnell is home from Vietnam and seems different. And her pa has a girlfriend. At least Delphine can write to her mother in Oakland, California, for advice. But why does her mother tell her to “be eleven” when Delphine is now twelve? The historical novel, set in the 1960s, features vivid characters, insight into family relationships, and a strong sense of place.